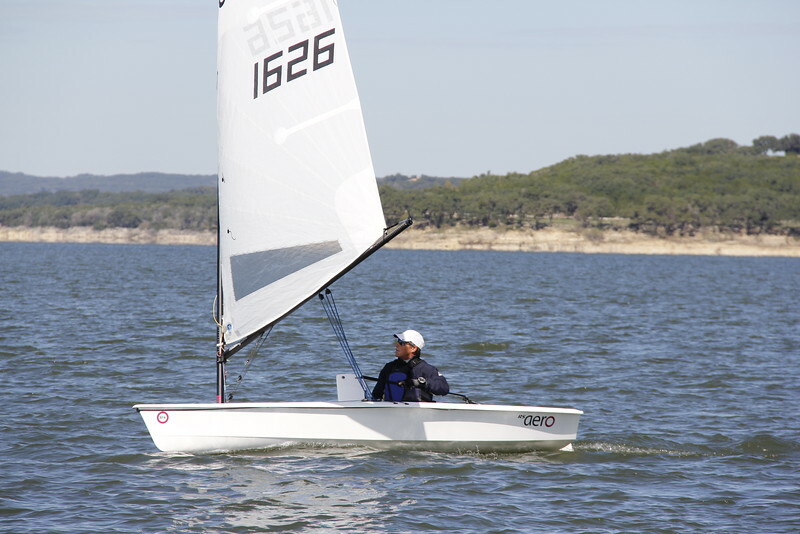 Great to see the Texas RS Aeros getting together for their first event at Canyon Lakes' Wurstfest Regatta. 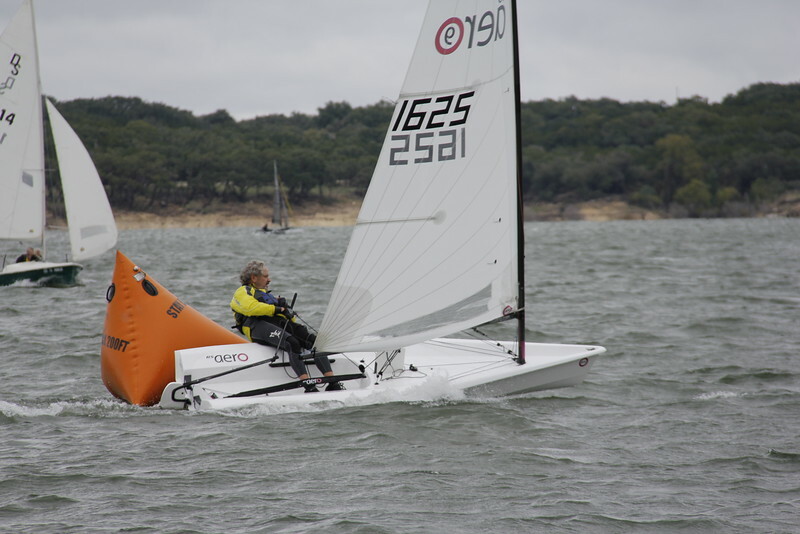 This was the last event of the 2015 Texas Centerboard Circuit. Unfortunately Rod and Patrick could not make it, but well done to Hank for driving over from Baton Rouge, Louisiana and Ash from Houston! 'Wind forecast of 40 knot gusts kept a lot of sailors away but for those of us who are Wurstfest die-hards, we are there no matter what. Saturday saw a gusty 18-25 knot North breeze. 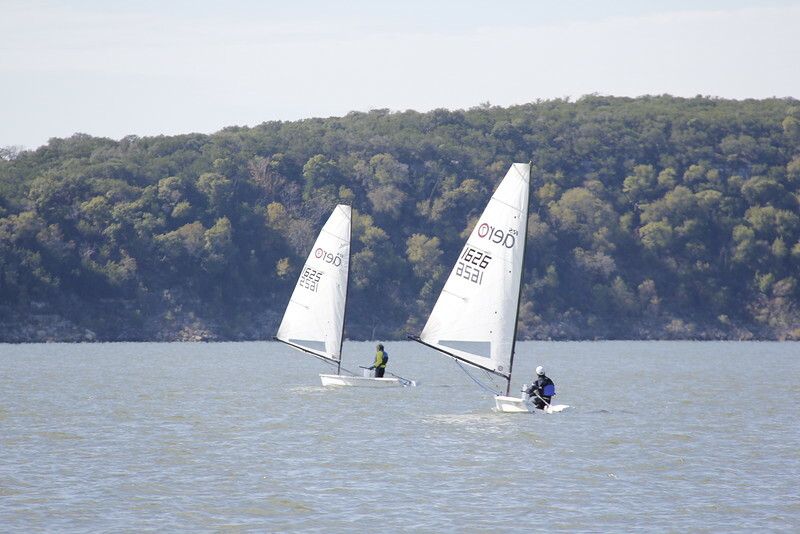 Hank got away in the first race but decided to stop 200 feet from the finish and let the fleet catch up. I managed to stay dry the entire day until a 25+ knot gust caught me right before the finish and, well the boat isn't that hard to right. 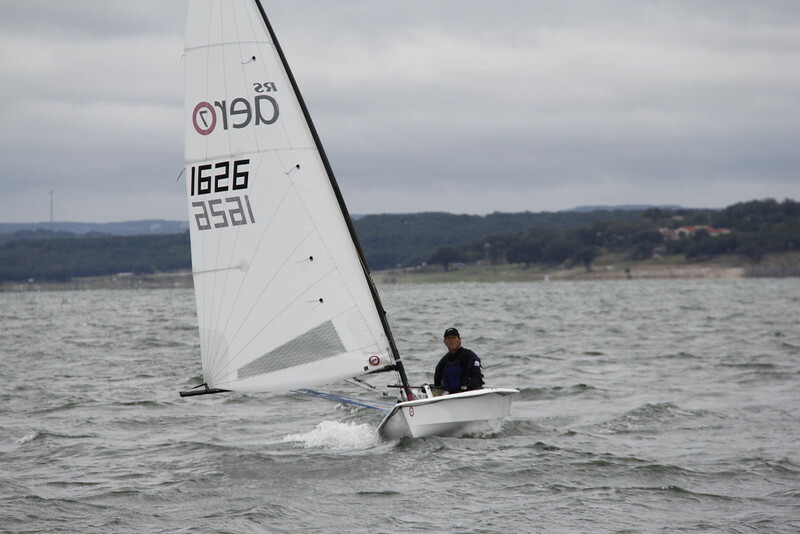 I can say one thing about a '9' in 25 knots - I sure wish I was in a '7'! LOL. There was a lot of interest in the boats. 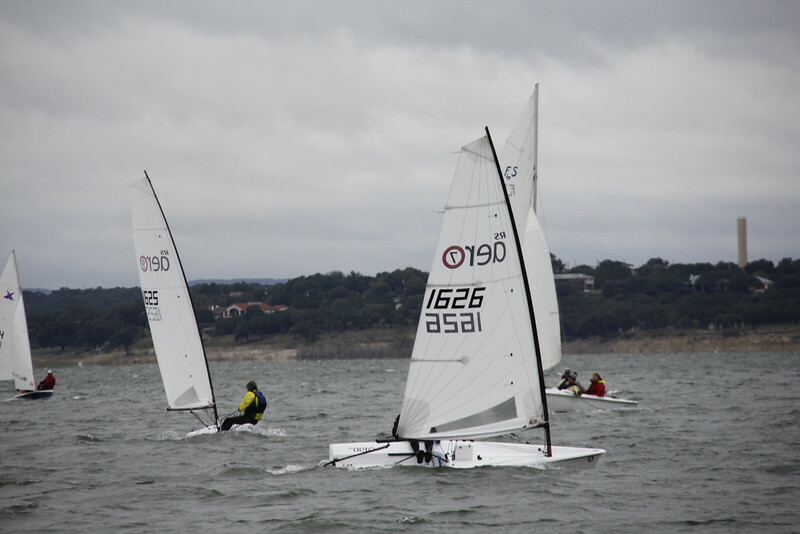 I haven't talked this much my entire sailing career. I know of at least one sailor who hit the local dealer the day after Wurstfest was over. Hank and I will be there next year hopefully with a good showings for Aeros. - Know the course. 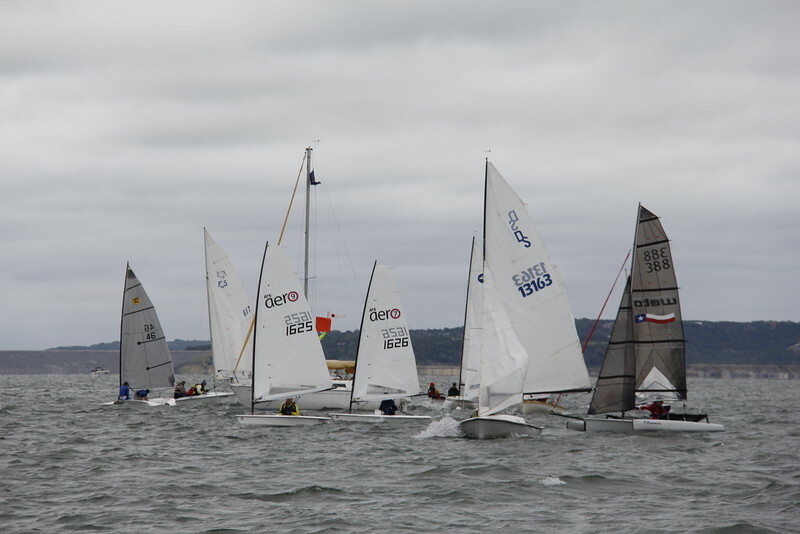 Don't stop early or sail beyond the leeward mark! - I now know having two rigs is smart, as I could have used the '5' on day 1.